Are you curious about how to add the Steel Mace to your current training regime? Are you a complete beginner but want to understand a bit more about how this tool works and how it can absolutely chisel your shoulders and core? My name is Summer Huntington and I am a mobility expert, performance coach and advanced Yoga teacher. I train students all around the world with my online programs and seminars, and want to empower you to get started with the Steel Mace. It is truly for anyone, and brings out your primal instinct to protect and embody your inner warrior. I am fascinated with the Steel Mace applications and historical relevance, as they are a symbol of power. I hope to share what I know about this phenomenal tool, how to prep your shoulders for it and how to integrate it into your movement practice. 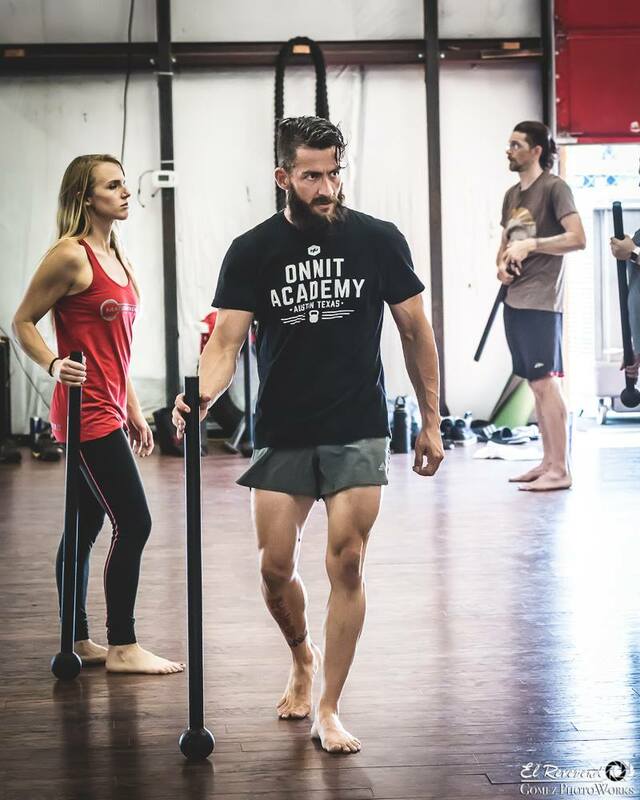 Big thank you to Onnit Academy for sponsoring the Flow State Summit and providing 25 Steel Mace for Leo Savage's workshops! It is an honor to work with them, and please take 50% off of tickets with their Ambassador discount. The Flow State Summit is a huge multi-discipline event with Wim Hoff breathwork, Acro Yoga, Steel Mace, Fascial Release workshops, Circus Arts and live music and much more. Don't miss the first ever Flow State Summit this July 27th - 29th, in Bellingham WA. Most people who see me with my Onnit Steel Mace assume it super heavy and hard to swing as gracefully as I do. Granted, I have been a student of ancient tools modeled after the gada for years, so moving to the Steel Mace was a pretty smooth transition for me. The following are some easy pointers to get anyone started with the steel mace. First things first... Shoulder mobility. If you have a difficult time reaching your straight arms overhead, will need to re-establish mobility there first. I recommend a meaningful mobility plan, tailored to your body. Once you can safely bring the mace behind your back and feel it actually swing, then you're ready to get started. Second, start with the basics. Learn the 360 Swing. Onnit has tons of Videos online, and you can learn from Master Coach Esik, founder of the Viking Ninja program. Do your best not to get discouraged, as the first few times swinging a mace can be awkward... but after awhile you'll get a feel for it. I find that practicing with my Steel Mace in a mirror with music and working on simple individual movements really helped me get the coordination and motor control to transition smoothly. Third, proprioception. Allow your nervous system to adapt. In modern Kinesiology terms, the word proprioception is defined by the ability to sense where your limbs are in space via neural feedback, receptors, vestibular system, etc. It takes time and practice to build that "6th" sense, just like a muscle. When you need to refine a drill, make it more simple and achievable first. Then progress to the more complex version of the drill. As you train the proprioceptive sense and start to trust the feeling of the behind the back portion of the swing you will notice the whole flow begins to feel more natural. Another rad way to get inspired with the Steel Mace is to check out some of the leaders in the movement community. Leo Savage and Steel Mace Yoga (Erin Furry) are putting in the leg work in building Steel Mace flows that anyone can access. I look forward to continuing grow my practice at the Onnit Academy Steel Mace certification this April in Austin Texas, and can't wait to put my knowledge to the test annd most importantly, to be humbled. I highly recommend professional coaching whenever possible, as it will fast track you to success with this tool. You can also engage with Leo Urquides (aka the Savage) at the upcoming Flow State Summit this July 27-29th (we can't freaking wait!! !, can you sense the stoke?!). He will be leading two workshops and there will be plenty of space to do your own flow Jam. If you haven't heard about this event, you must check it out! We have an all star line up of instructors, tons of offerings plus Steel Mace workshops by day... and dancing all night with live DJs. Tickets are only $299 until April 10th, which includes your lodging, a community breakfast on Saturday and Sunday, and access to all workshops and events. Take advantage of Onnit Academy discount code to get the early bird tickets! Big thank you to our sponsors, and all of the amazing humans on the leadership team to bring this event together. Now get practicing with your Steel Mace.